n 1985, National Geographic Explorer-in-Residence Dr. Robert Ballard solved one of the greatest nautical mysteries of the 20th century when, while on a top secret naval assignment, he found the final resting place of the RMS Titanic. Now, join the legendary explorer as he reveals the details behind this story of stealth, subs and superpowers ripped from the pages of a Cold War spy thriller. 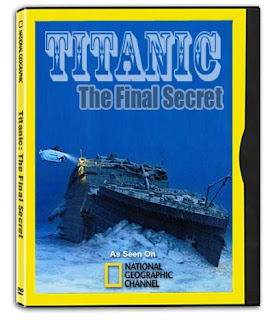 Learn how Ballard's search for Titanic became the cover story to ward off Soviet suspicions, and dive to the ocean floor to explore the covert expeditions that gave Ballard the cutting-edge forensic evidence that would lead him straight to Titanic within a matter of days.